BluWave Sushi is a New Wave of Deliciousness! Sushi is the ideal food for almost any occasion. From a quick lunch to a formal wedding dinner, sushi fills the bill. If you're in search of great sushi in Tampa, BluWave is there for you. 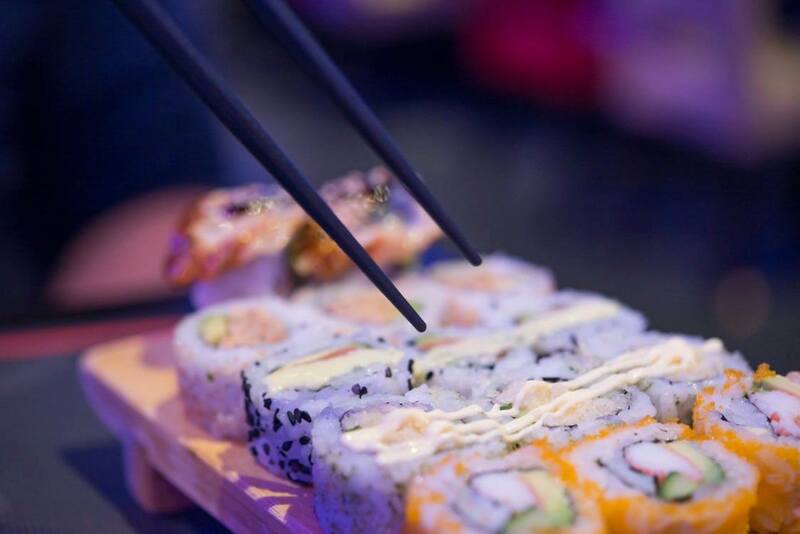 As a premiere restaurant in Tampa, they are dedicated to offering their many happy diners a wide variety of sashimi, sushi, and all things delicious and fresh. This is the place to be in Tampa for all those diners looking for a truly fantastic meal. In an effort to offer diners the best possible service and food, BluWave is now at 122 S. Howard Ave. The new location makes it even easier to serve their many happy clients. Howard Avenue is the very heart of Tampa. Howard Avenue borders several major intersections and is a convenient location. Workers who want to grab something delicious before heading back to their work for lunch can take advantage of their fast service or enjoy a more leisurely dining experience after work. BluWave's owners know that customers are looking for something wonderful. This is why they offer a varied menu with many tantalizing possibilities. Try the quick bites. Sample expertly prepared crab rangoon, spring rolls, miso soup or any one of many great choices to begin. Then choose from over a dozen types of sushi. The signature rolls have been created expressly to delight. Try the red dragon with spicy mayo and tuna or the Jenna with fried shrimp and cucumber. Freshly fried tempura rolls offer a burst of flavor with every bite. Vegan rolls and traditional favorites round out the menu and leave diners happy knowing they have access to excellent sushi in Tampa. Those who head here for a good time can pick from different kinds of seating options. Sit at one of many tables with a group. The new bar area offers a fabulous place to relax after a long day with a roll and some sake. A beautifully backlit surface, it has plenty of comfortable seating. Admire the lovely murals and watch as fresh sushi is delivered to your plate. Come here when the sun sets after work to enjoy a special treat at the end of the day. People in search of a terrific dining experience centered around enjoyment of fresh ingredients in a convivial space should make this their must-visit space. This is the modern, convenient space for all Tampa sushi lovers. Thoughtful service helps people instantly at home. Diners with a large group can pick from many possible sushi choices, making it easy to please everyone in their party. Those looking for a smaller, more intimate dinner can also come here for a meal where their love of sushi takes center stage. Catch the BluWave and have a great time! Find more restaurants in Tampa by registering on 813area, your free guide to everything in Tampa!